Stop disturbing me,nudge me,distract me,etc.. 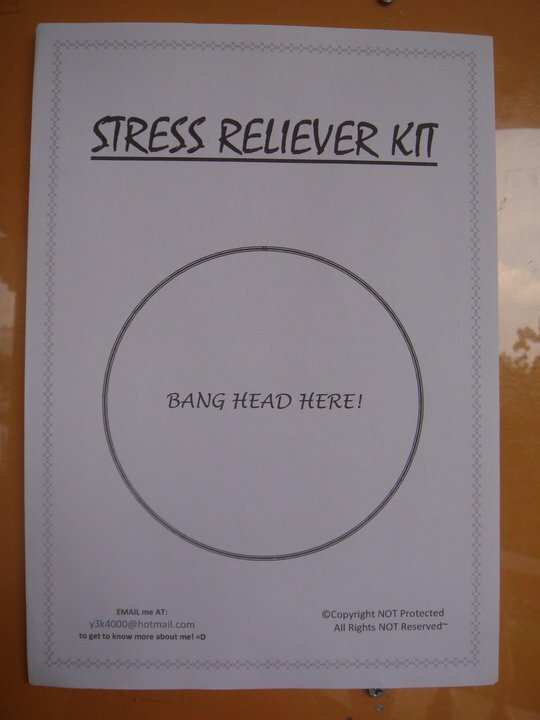 I was the one that put up those stress reliever kits at college =D So Fun!! Owh shoot.. the computer i was using was logged in by some unknown..
Yeaa.. I know about the videos... And pics.. I'd say it was a success wasn't it? yeah I replied your same message ady ma..
Would be a fun time..
Do I know you personally? and you know me too? Of course i know everythin n everyone ..
anonymous are so mysterious at times 0.o beware!! haha..I thought July or March or Jan10/March10 student put it up you know..